Dealing with reimbursement cuts has become a way of life for radiology groups, and with value-based care, bundled payments, and accountable care organizations on the near horizon, they can expect more of the same, but there are steps they can take to minimize the effects of these new payment models. To stay ahead of the reimbursement curve, Woojin Kim, MD, an assistant professor of radiology at the Perelman School of Medicine at the University of Pennsylvania and a cofounder of Montage Healthcare Solutions, says radiologists need to embrace data and analytics. Kim, who spoke on this topic at RSNA 2014, says the challenge is twofold: Radiology groups need to keep up with changes in the reimbursement process, and they need to find ways to plan, execute, track, and measure value-based and outcome-based care. To do that, existing measurements aren't enough. "If you only focus on incentives or penalties like the Physician Quality Reporting System [PQRS], while better than doing nothing, you are only barely keeping up and likely always playing catch up," Kim says. "You need to take it beyond—for example, by coming up with your own quality metrics, the ones you know matter more to your referring clinicians and your patients than those defined by PQRS." Kim says he's often asked how business analytics tools can help radiologists deliver value-based care in a practical way. His answer is that they need to first define value. For this purpose, he refers to Thomas Davenport's Big Data at Work. In the book, Davenport identifies three classes of value: cost reductions, decision improvements, and improvement in products and services. Business analytics tools can be applied to these value classes. For example, Kim says data mining and analytics can be used to evaluate whether patients' treatments or outcomes have changed because of radiologist recommendations. He adds that data mining and analytics should extend beyond radiology information systems. One example of this use would be a tool that can correlate both radiology and pathology findings. Another example that Kim cites is Aultman Hospital in Canton, Ohio. With the aid of analytics tools, Radiology Associates of Canton, along with hospitalists at Aultman Hospital, have reduced the average length of stay by three days for inpatients who were recommended for a CT-guided biopsy. At an average cost of approximately $2,000 per day for inpatient stays in the United States, that's a savings of $6,000 per patient per hospitalization. Although basic business analytics tools that can log various useful metrics are available from several vendors, Kim says radiology groups should look for tools that allow them to ask for specifics. He points out that no business analytics solution can provide all the dashboards a radiology group will ever need. Additionally, mining the unstructured data of radiology reports requires the flexibility to ask questions. "For example, even if I don't have a dashboard for, say, malpositioned central venous catheters, I should still be able to ask how many cases of malpositioned catheters we have had in the past three years," Kim says. "While solutions should be able to analyze the basic metrics that are important for radiology practice operations, such as volume, RVUs [relative value units], and turnaround times, they should also be interactive. When you go to Expedia or Kayak to look for flights to a particular destination, those sites allow you to interact with the data; you can decide if you want to depart in the morning or the afternoon, how many stops you are willing to tolerate, and which airlines you want to fly with because of your mileage program. Therefore, even with basic operational metrics, you should have the similar capability to interact and to drill down." Kim says the increasing focus on value and outcomes will force radiology groups to analyze their reports for quality with tools that he calls clinical and quality analytics. He recommends analyzing reports for errors; critical results and notification documentations; compliance with various reporting requirements, such as PQRS; and monitoring follow-up recommendations. Report analysis will help radiology groups add value to their interpretations. 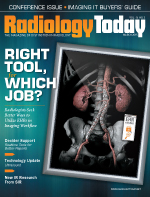 Another area where radiology can demonstrate value is decision support. Kim notes that provisions in HR 4302, known as the Protecting Access to Medicare Act, that take effect in 2017 mandate that providers consult physician-developed appropriateness criteria before ordering advanced imaging procedures for Medicare patients, which will directly affect radiology reimbursement. He sees this as an opportunity to both demonstrate value and improve patient care, by using advanced, text-based data mining and analytics to find gaps that may exist in the current guidelines and suggest improvements. The need to demonstrate value has never been greater. Whether bundling, value-based payments, or another method eventually emerges, it's likely that radiology reimbursements will continue to decline, while administrative burdens for radiology groups increase, Kim says. Radiology groups will need advanced analytics to not only demonstrate that they are helping to improve care; but also be able to analyze the economic effects of the new guidelines on their practices. Unfortunately, the use of analytics is lagging. Kim says Davenport's model of analytics capabilities provides a useful guide for radiology. In Davenport's model, Analytics 1.0 describes the ability to process small, structured data using descriptive analytics. Analytics 2.0 describes the ability to process large, unstructured data using descriptive and predictive analytics. Analytics 3.0 describes the ability to process all types of data with an emphasis on using prescriptive analytics. Kim says radiology is currently using Analytics 1.0. "We can no longer simply have tools that tell us we did X number of RVUs to get reimbursed. The health care landscape is changing," Kim says. "We are way behind, and even predictive analytics isn't enough. Where we need to go, not just to help with reimbursement, is Analytics 3.0. Prescriptive analytics use models to specify optimal behaviors and actions. By combining predictive analytics with actionable data and the ability to track outcomes based on actions taken, prescriptive analytics can recommend the best course of action for a given, desired outcome. Hence, whether it is to improve patient outcomes, increase productivity, or optimize reimbursement, we need to head toward the direction of prescriptive analytics." — David Yeager is a freelance writer and editor based in Royersford, Pennsylvania. He writes primarily about IT topics for Radiology Today.